I wanted to talk about my favourite spices today. Here are some spices which I keep close with me at all times and find a million ways to use. 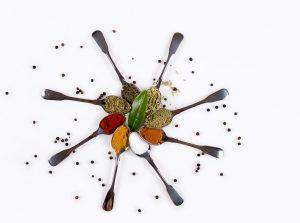 Pepper – I love the spicy taste of pepper. It’s the perfect garnish for just about any meal. Himalayan Salt – I don’t know if this is considered a spice, but I love this salt. It’s far more nutritious than regular salt, and gives so much flavour to food. Garlic powder – Garlic powder gives a very fragrant and delicious taste to any food. Though, too much garlic powder may not be a good thing. Onion Powder – I randomly discovered this one day and I couldn’t believe just how much flavour it gave the food. It’s like a sister/brother to the onion powder, they go together so well! Smoked Paprika – I love that smoked paprika isn’t too spicy, it is somewhat sweet, mild but adds a subtle flavour in the food. It’s also brilliant if you want the food to be redder. Chili Pepper Flakes – I really love adding a little bit of this for soups, stir-fry and even baked foods, as I really love spicy tastes. 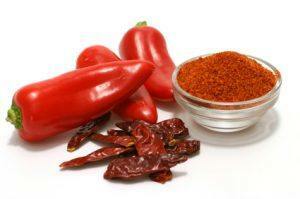 Cayenne Powder – Ever since I read up on the heart benefits of this spice, I’ve been trying to use a little in my foods. It is very spicy so only a little will be enough. Cumin – I think cumin is one of those must-adds for anything with curry. Curry Powder – I love making curries, and curry powder does exactly that. My favourite type is the McCormic brand. Turmeric – Another spice that’s ultra healthy, got so much amazing benefits to almost every part of our body, and is the spice that gives curry its yellowness. Ground Coriander – There’s a very unique fragrance in ground coriander. I love to add it to curries or pasta. Oregano – This is a brilliant addition to anything pasta related, or savoury crackers. Basil – Basil is really perfect for tomatoes. I don’t know why, but they really do go so well together. I love using basil for pasta, tomato dishes, soups and crackers. Parsley – I think parsley is brilliant for soups or a garnish, though the raw taste may not be for everyone. Ground Cinnamon – This is truly a brilliant natural sweetener. Cinnamon do have a very overpowering, strong taste so don’t add this if you intend the food to taste “chocolate”, as it is most likely to turn out “cinnamon”. It’s great for crackers, oats, desserts and many other things.